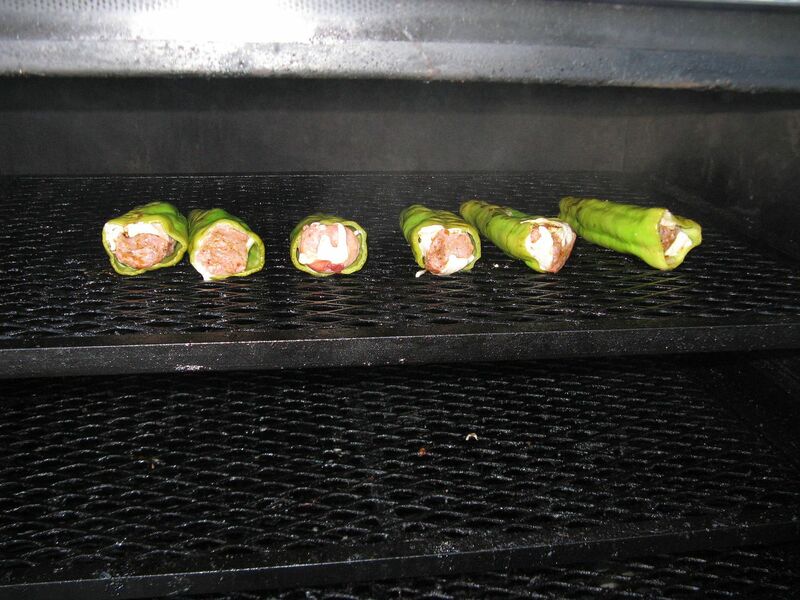 After our pepper entry at the Hamburg NEBS competition, we wanted to take some time to really enjoy eating the peppers. 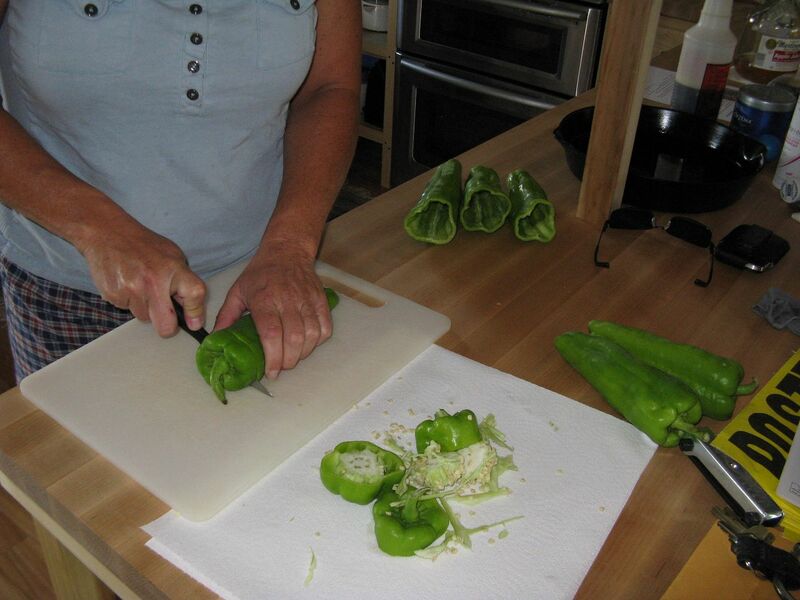 So, this past weekend, we recreated the recipe with Italian frying peppers fresh from our local farm market. Here is how to make them. 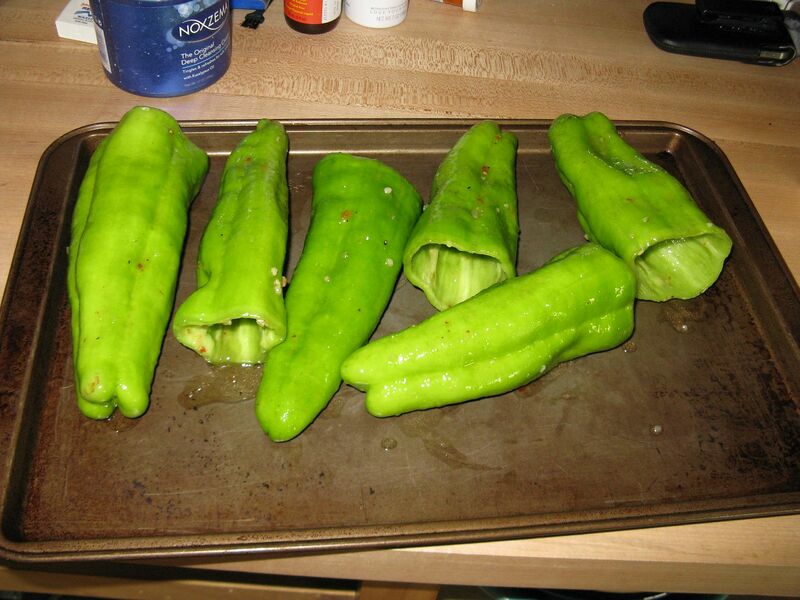 Take the peppers, cut off the tops, and clean out the seeds and pulp. Marinade in your favorite bottled Italian dressing. 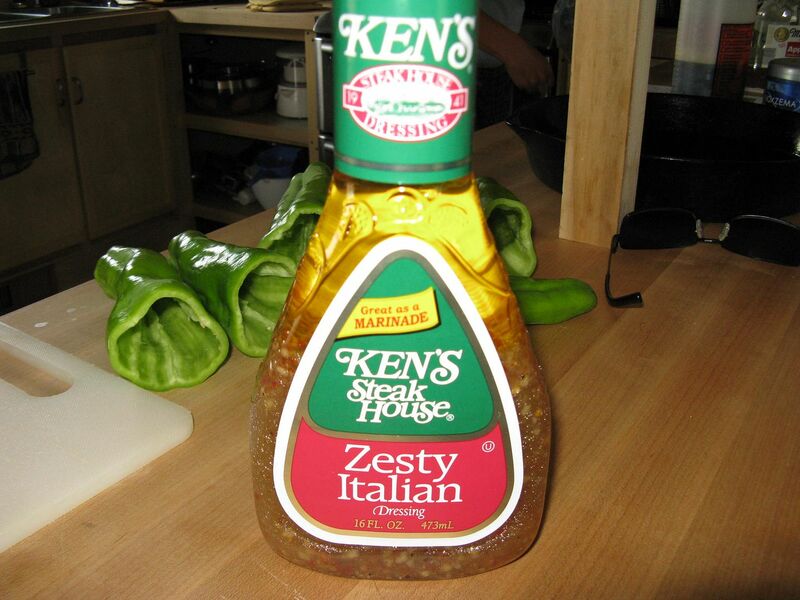 We like Ken's Zesty Italian. Let sit in the marinade for at least two hours. Place in the refrigerator and flip every 30 minutes or so. When ready, pull the peppers out of the marinade and place on a cookie sheet. Do not remove the excess marinade. 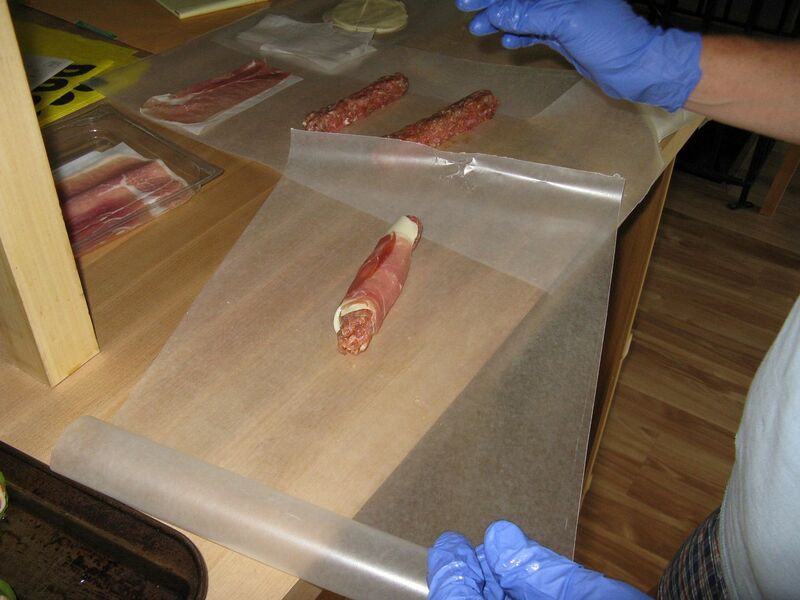 For the stuffing, place one slice of provolone cheese on top of one slice of prosciutto. 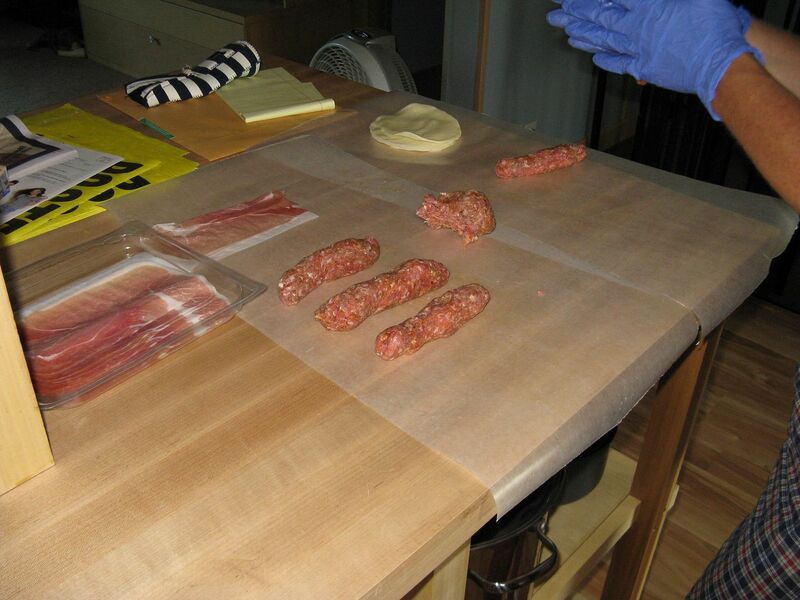 Top with a small sweet sausage log, then roll up. 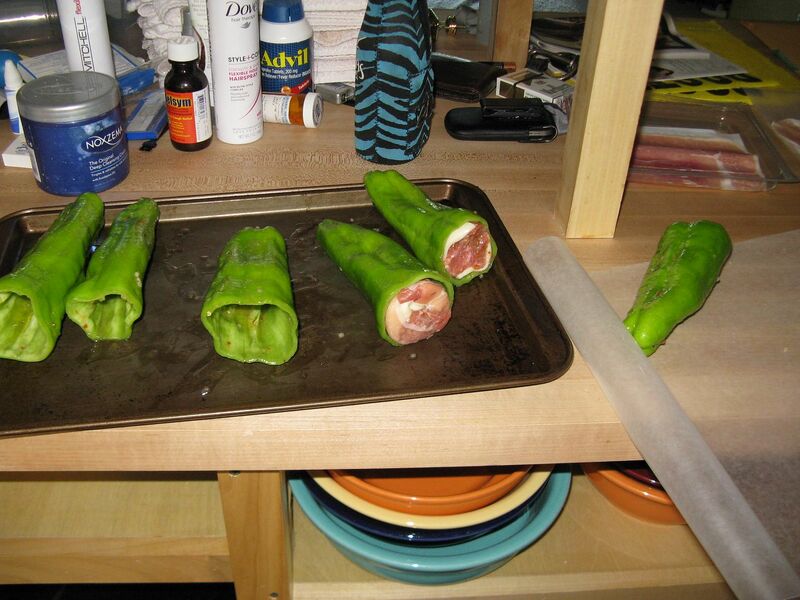 Once rolled up, stuff into the pepper. I placed on the top rack of a 300 F smoker. After 15 minutes, I flipped the peppers over. Then, I pulled after 30 minutes total cook time. Serve with a salad of choice. 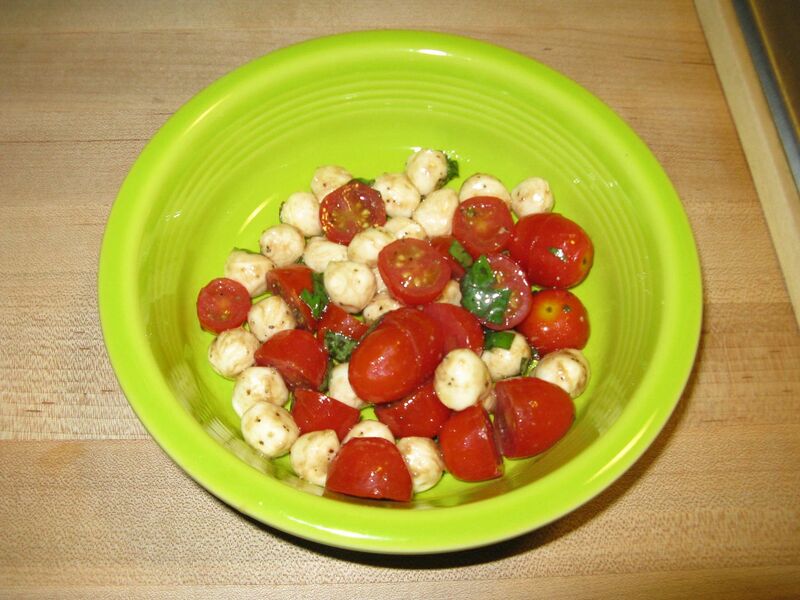 We made a fresh mozzarella and cherry tomato salad with basil and olive oil. A nice, reasonably light summer dinner with fresh veggies from the local market. It doesn't get better than that. The peppers were great. 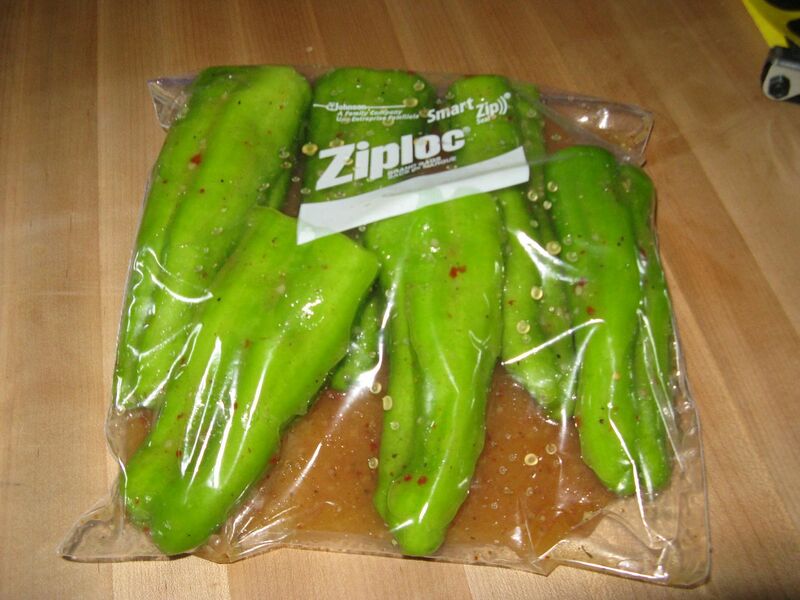 Sometime, I will make these with some spicy peppers for some extra zing. But, I must admit, the Italian dressing adds a nice tang that makes up for the lack of spice. Oh heck yeah! This is definitely on the recipe bucket list. I am going to wait till later this summer when the New Hatch peppers come to town. 1. Use a pepper with a smaller diameter. It makes for a better ratio of cheese to meat. 2. Try 250-275 with 30 minutes of cook time. It will make for a crispier pepper.